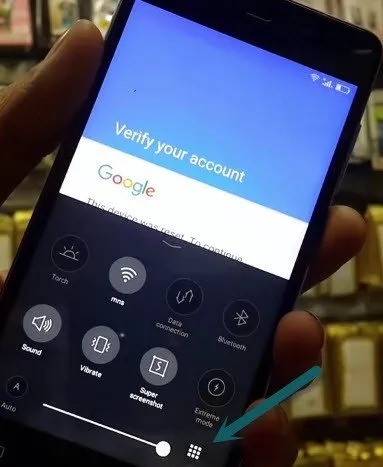 We are going to show you how to Bypass Google Account GIONEE android version 6.0, but remember that, this post belong to only owners not for thief persons. for FRP Bypass GIONEE, i have tried OTG method, but failed, and trying multiple gionee frp bypass methods, then i decide to choose this option for bypass gionee google account, so that means, so you don’t need to waste your time in going here and there to apply some other wastage methods, just look for this method and implement on your GIONEE Android 6 device. We have 2 Gionee Frp bypass methods below, let’s begin with 1st method. 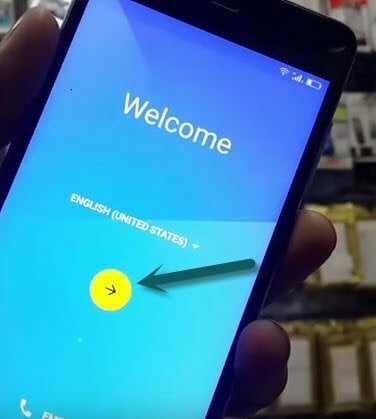 -When you reached “Welcome Screen” as shown in below just tap to arrow indicated area to go for “Next” see below image. -Now you will be on “Verify your account” screen, where from you have write anything there in the “Text box” and then “Select all your typed Text” and then in the bottom left corner, up side of your keyboard, there will be option to “<” like this for going back, just tap on that, look below image for clearing your vision. 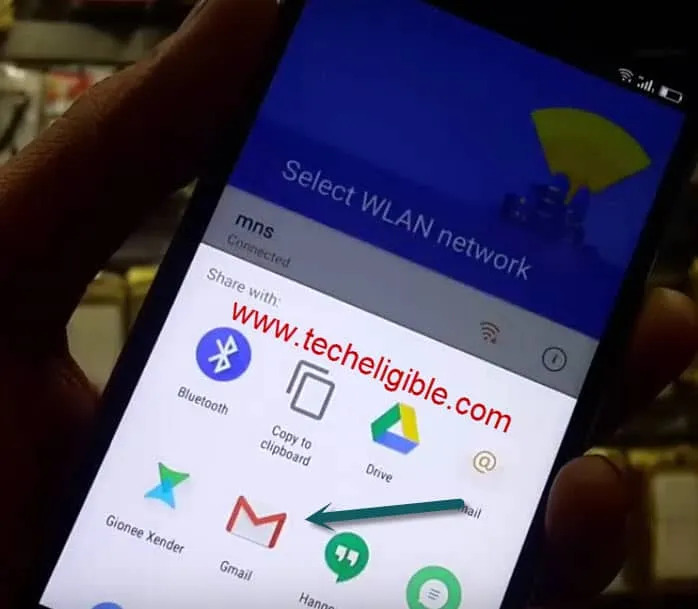 -Now you will be on “Wifi connection tab“, tap on “Add another network“, then write something there and select text and tap to “Share” to Bypass Google Account GIONEE. 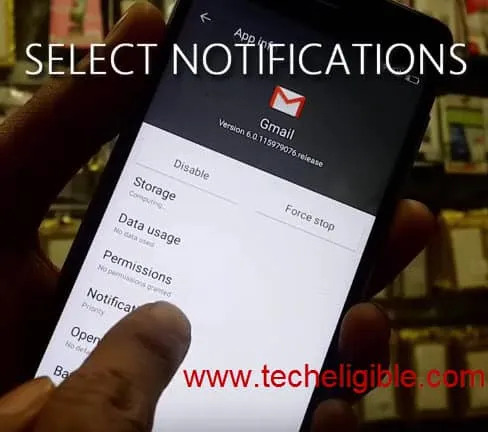 -You will be redirected to “Swiftkey” tab, from there tap on “GOT IT“, then tap on “NOT NOW“, and press and hold on for bit longer on “GMAIL” icon, then you will be redirect to “APP INFO” tab. -From there tap on “Select Notifications” and then “App setting” and then tap on Upper right corner 3 dots, and select “Manage Accounts“. -Now you wil be in “SETTING” screen, from there “Scroll up” till you see “About Phone”, tap on that. -Now you will be in “Advanced Settings” tab, from there scroll up and find “Backup & Reset” and just tap on that, and then tap on “Confirm Restore“. 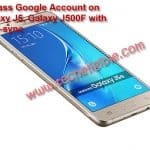 -Congrats, you are done to Bypass Google Account GIONEE. If still you are facing frp lock issue, you can try 2nd method from below to bypass gionee frp lock. 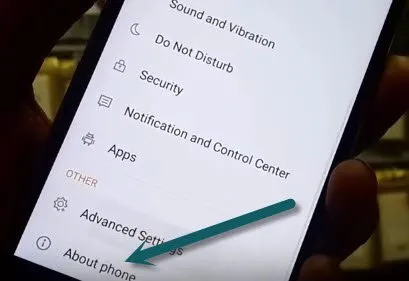 -From your main screen, just “Slide Upward from center”, and then tap on “Menu” as shown in below image, from “MENU” select “Setting”, then select “Advanced Setting”, then scroll up, and select “Backup and Reset”, after that select “Factory data reset”, and then tap on “Confirm Restore”. 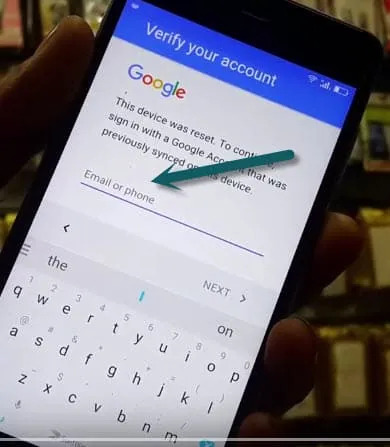 Congratulation, now you have successfully removed and Bypass Google Account GIONEE, and you can access all options, and add new gmail account. 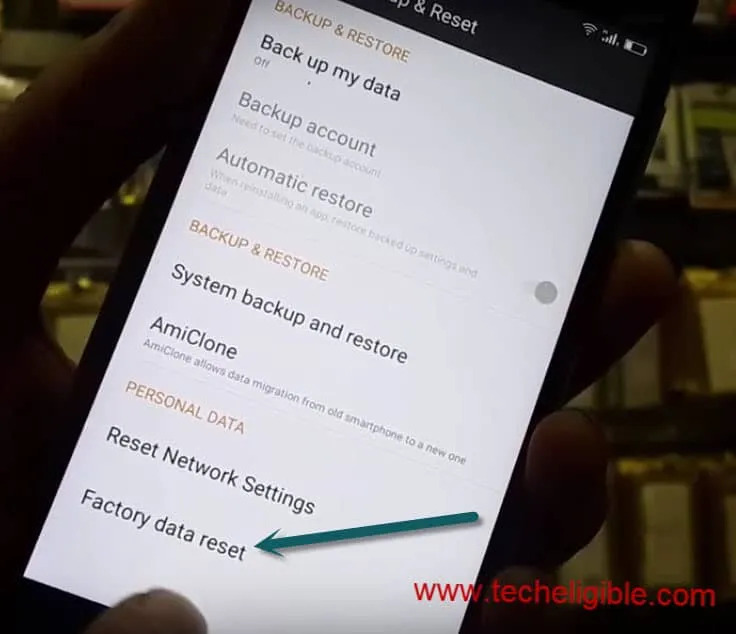 Note: At the restore process, device usually stuck at GIONEE logo, so you don’t need to be worried about that, just restart your device in that condition. If the menu button isn’t showing on your phone, just click the settings icon, navigate to advanced settings and click backup and restore. Thumbs upman. This is great. I love this. It worked perfectly on Gionee M5 without issues. All other blog posts were talking of one frp unlock apk and tool which I couldn’t lay my hands on. 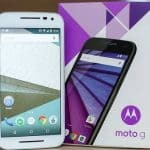 I was already downloading a new ROM but frustrated by slow network till I came across this blog. I must follow this page to enjoy wonderful tutorials.